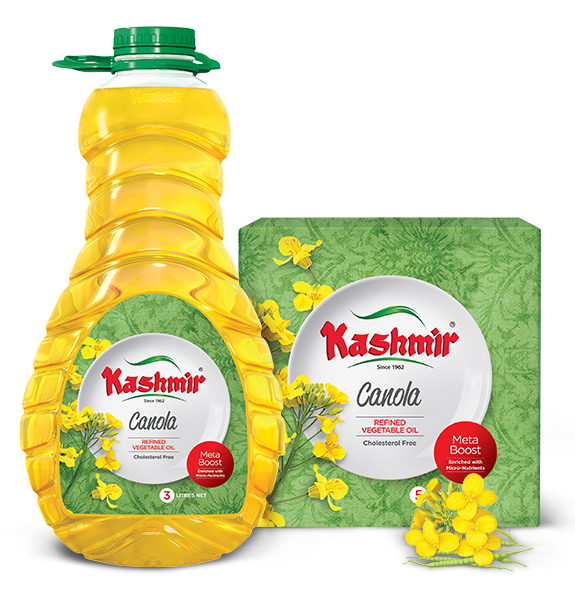 Kashmir Canola Oil is a triple refined, CHOLESTEROL FREE, UHT treated product with no artificial flavors/aromas. It is rich in Omega-3 and is powered by Meta Boost (Vitamins A & D3). When combined with your unconditional love that wafts to connect along with a host of other benefits of our Canola Oil, it makes for the perfect all-round healthy choice for your family.